Most of us start and end our days in the bathroom getting ready for the day or for bed, so why wouldn’t you want that space to be clean and organised? The sad truth is, bathrooms are often overlooked. I tend to find most people either have a stunning, well organised space boasting loads of storage or a space that is quite uninspiring and leaves us questioning – where to begin? There are so many options for getting your bathroom sorted, whether you already have great cupboard space or not. Have a look at the tips below – there should be something for everyone. I think I’ll be implementing one or two of these in my own little space. Swap a wall mirror for a medicine cabinet. This was the first thing we did to our home. The ensuite bathroom had a great big wall mirror, that was excellent for admiring myself, but not for much else. To rectify the problem and find a place for all the necessities, we went straight to the hardware store and picked up a medicine cabinet. These cabinets come in a huge variety of styles, sizes and price points, so picking something to fit your space is super easy. 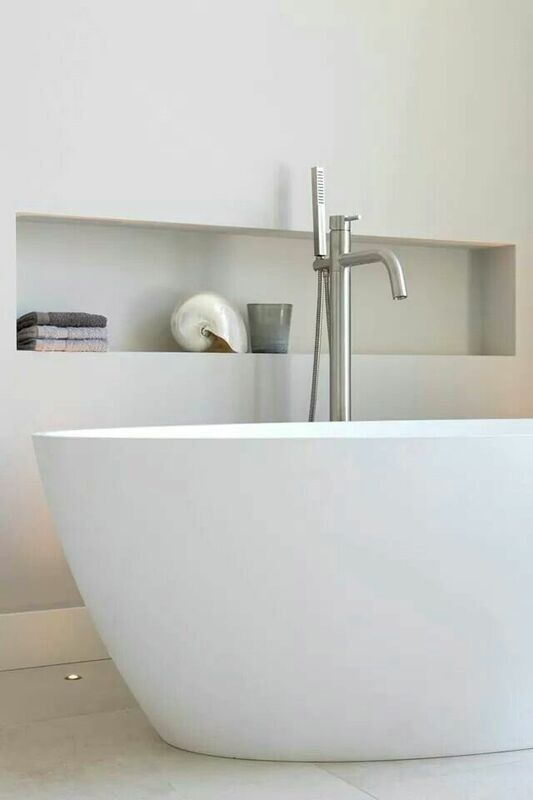 Go vertical – In the bathroom there are products of all shapes and sizes. Storing items vertically will always be your best use of space. 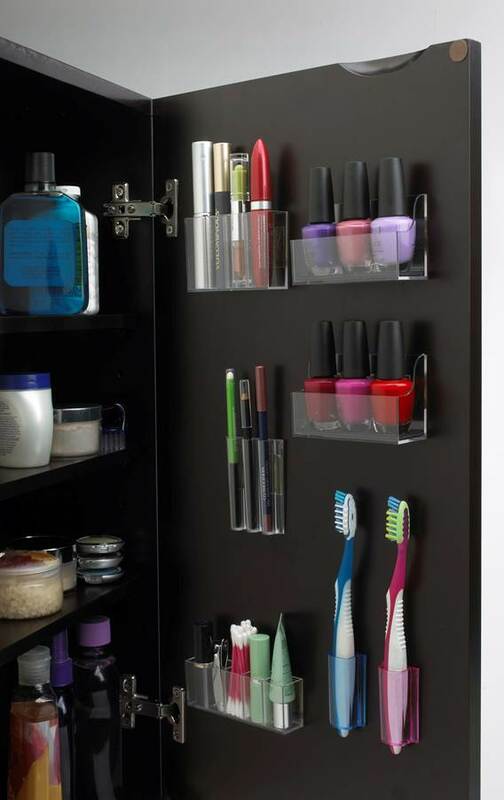 With bottles this is easy, but with hairbrushes, razors, toothbrushes and more laying flat in your cupboard, shelf space is quickly under utilised. To rectify, use cups on shelves or the back of cupboard doors. Give your items a stage – This is a trick I use in the kitchen for oils and other items I like to keep handy. Any “platform” object you have around the house – such as a cake stand, chopping board or even a pretty plate – can be used as a stage to cluster your items on. This simple trick, gives your items a home that looks intentional and much neater than having them just sit on the counter. Shelf or niche storage – If you have walls that aren’t tiled, consider your self lucky this time. 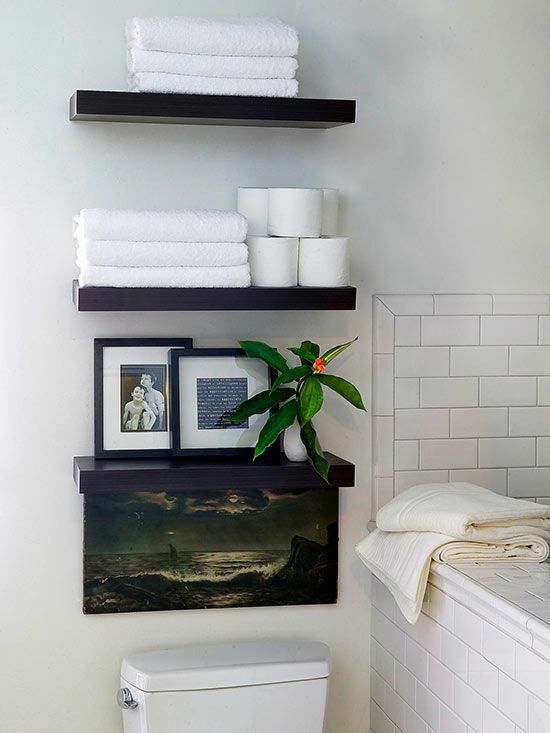 Floating shelves are super easy to install and are a great use of space for spare towels or other nick-nacks that wont fit in your vanity. 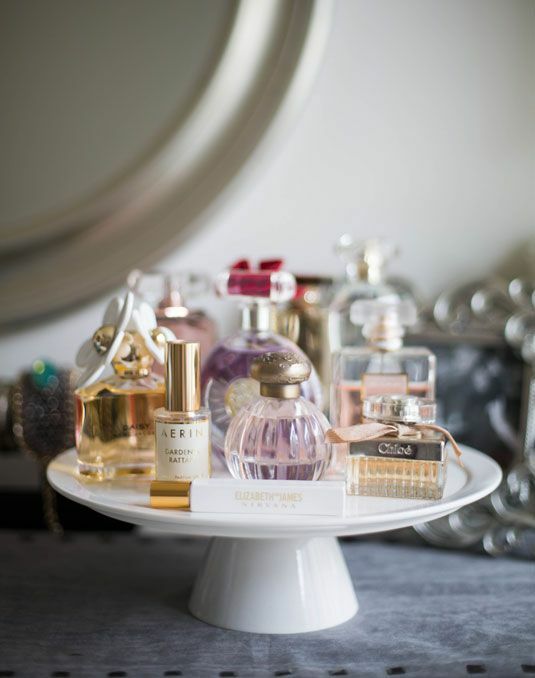 An alternative to this, in installing a niche in the wall, while the space you have may not be as deep, it makes a great space for pretty perfume bottles and the like. Use the door – If you’re lacking wall space, using the back of the bathroom door makes for a great space to hang towels or a bathroom organiser. Party in the Park + free party planner template!